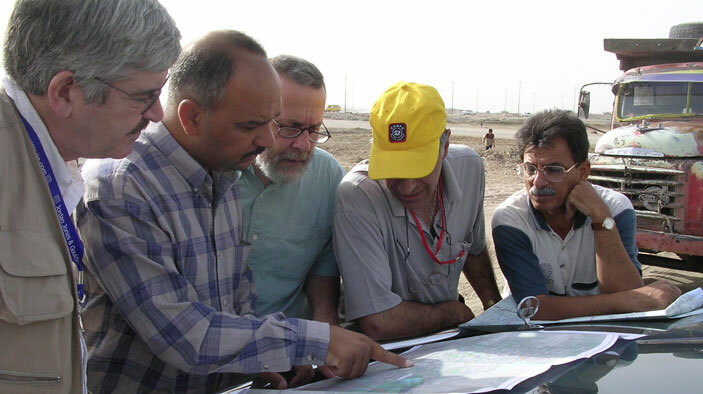 We work closely with USAID to launch and strengthen the Middle East and North Africa Network of Water Centers of Excellence (MENA NWC), a regional association of research and educational institutions. Collaborating on applied research with governments, businesses, and civil society organizations, MENA NWC is addressing shared challenges in the water sector using locally appropriate scientific, technological, and management solutions. In Africa, FABRI joined with the African Water Association (AfWA) in an ambitious first continent-wide program to halt the constant creep of higher water-loss levels. FABRI and AfWA are working with 19 national and city water companies and state water boards in 16 countries to improve financial, economic, and operating efficiency, including development of association business plans, non-revenue water initiatives, capacity building, and communications and knowledge sharing programs. Establish a network of regional and national actors with built-in incentives for collaboration extending beyond the term of donor funding. Engage the private sector through collaborative initiatives that reflect water’s increasing economic importance. Create mechanisms for the financing of entrepreneurial product innovation and infrastructure repair and development. Build and leverage strategic alliances among formerly unrelated stakeholders and across various regional activities. Develop a MENA NWC financial sustainability strategy. Incorporated MENA NWC as a nonprofit association in Washington, D.C., in December 2012. Wrote MENA NWC five-year strategic business plan and bylaws, convened the Board of Directors, prepared application to the U.S. Internal Revenue Service (IRS) for tax-exempt status. Committed $4.9 million in grants and subcontracts to support applied research in: water use efficiency and productivity, groundwater, nonconventional water, water/energy/food nexus, and water and sanitation. Launched small grants programs in the Middle East and Africa targeting young researchers and water practitioners to encourage their professional growth and advancement. In support of regional knowledge sharing, launched website for MENA NWC and online Technical and Managerial Communities of Practice; in Africa, redesigning AfWA’s website to highlight its technical programs, membership, and library of technical information. Secured partnerships with four private sector companies in the Middle East; each is engaged with a multi-country team focused on applied research aligned with that company’s corporate interest. Launched interregional partnership between the Arab Countries Water Utilities Association (ACWUA) and AfWA to reduce non-revenue water through technical and administrative audits of water utilities and development of performance improvement plans. Raised profile of MENA NWC and AfWA through supporting participation in international events such as the Stockholm International Water Institute’s World Water Week, International Water Association’s World Water Congress and Exhibition, and regional conferences and meetings.